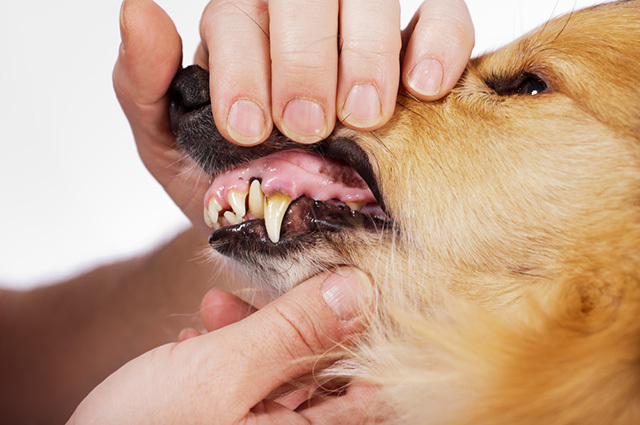 With major advances in treating serious infectious and other pet diseases, oral disease – most importantly periodontal or gum disease caused by the build-up of plaque and tartar – has become the number-one health problem for dogs. Reassure and praise them profusely throughout the process and reward them with a very special treat when it’s finished. Start by dipping a finger in beef paste. Rub this finger gently over your pet’s gums and one or two teeth. Repeat until your pet seems fairly comfortable with this activity. Finally, once your pet is used to having his or her teeth brushed, you can start using a pet toothpaste in liquid or paste form. Most of these contain chlorhexidine or stannous fluoride – ask your veterinary surgeon for his/her recommendations.Don’t use human toothpaste, as it can upset your pet’s stomach. Your vet may also advise the use of an antiseptic spray or rinse after brushing. Book a yearly dental check-up for your dog. 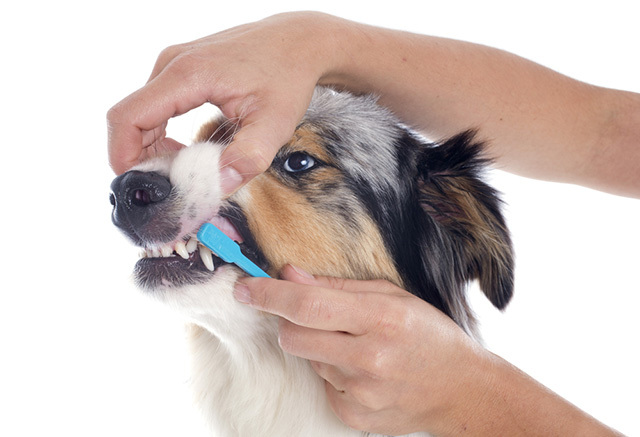 Brushing removes plaque but not tartar, so if your dog’s teeth do have tartar, your veterinary surgeon will have to remove it with a professional clean and polish, usually accomplished under anaesthesia. Watch out for wood – throwing sticks for dogs can result in splinters and gum damage. Pieces of wood can even become stuck in the roof of the mouth, perforate the oesophagus or if they manage to get into the gut, cause an obstruction. 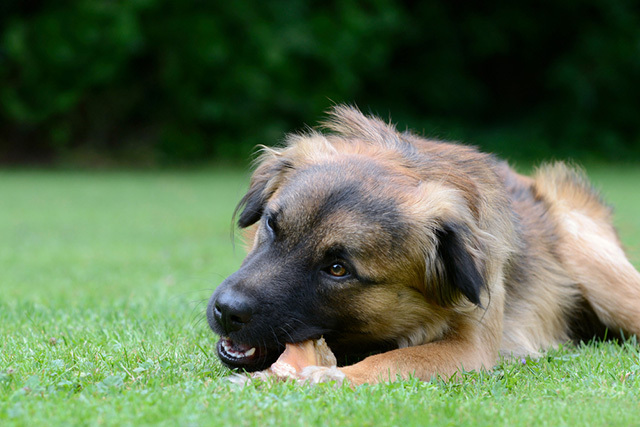 Don’t let your pet chew on hard materials like cooked bones or stones. They can wear down, even break teeth, damage gums and lead to infection or be swallowed and lead to blockages.